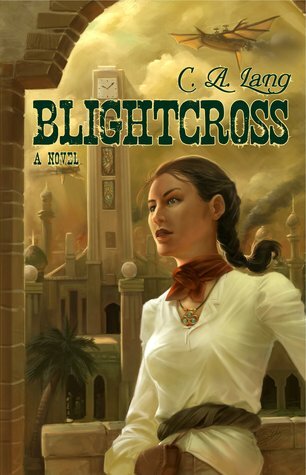 Today I have an interview with CA Lang, Canadian author of the recent released dieselpunk Blightcross. I tend to fill notebooks with pre-writing before starting the novel. How much depends on the type. With Blightcross it was a pile of outlining, character sketches, history, and chaotic senseless diagrams and flowcharts. I tried writing a historical novel and it ended up involving over a month of pure research, in addition to the character sketches and detailed outlines and chaotic senseless diagrams and flowcharts. So like any good Taurus, I tend not to jump into anything without a good idea of where it’s going and how I’m going to do it. It’s hard because naturally you gravitate towards your main character. By default I’d have to go with Capra, but sometimes Helverliss reminds me too much of my own pretentious neurotic side to not find totally endearing. In the end though, it still has to be Capra–she had been a character in my head for a while and I’d tried her in other stories before Blightcross happened. It really is her story. Readings. I’ve never been a fan of my own voice and felt awful when told to read out loud in high school. When I do a reading, that kind of juvenile anxiety comes back and I feel like a complete toolbag. I play guitar in public and can deal with it, but reading for an audience is one of the most terrifying things I can think of. Twice as terrifying when you’re being judged both on your personality and elocution as well as the written work itself. It eases after doing it for a few minutes, so it’s not a huge issue. It’s just the weeks of sheer terror beforehand that I find barely tolerable. I use them because I’m a pragmatist. I don’t like physically owning books because I have no place to store them and have a constant fear of losing my page when distracted by something that’s more interesting or urgent than the book. And that whole thing about the smell of them just doesn’t make sense to me–often they smell rank and paging through old ones is painful. At the same time I’m not going to rave about them as the wave of the future. They’re simply another option that works for some and not for others. I remember years ago authors discussing this like it was the end of the world, but obviously people are buying ebooks and nobody is losing revenue of it. They’re a great development and as reader I enjoy them much more than paper ones. But I get why others don’t like them and that’s okay too. 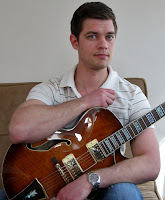 At one point long ago, I would do music stuff during the day, then write all night. This was before any interest in my own health and fitness and involved lots of cigarettes and missed meals. Now I’m a lot more flexible and cram in writing whenever I can, including during breaks at the day job. A general target is 2000 words per day, seven days per week. These days I have too much going on to be able to do that, partly because I can’t concentrate if I haven’t had enough exercise. I did a lot of writing at the expense of relationships and my own wellbeing, so have adjusted priorities to make sure that when I do write, it’s coming from a good place and not just pure obsession. Being able to crank out a first draft in 3 months or less is nice, but the things it does to my life are not. C. A. Lang is a product of Nelson, British Columbia, and it shows. Growing up around Victorian architecture likely had something to do with his appreciation of steampunk, although we’re not quite sure why he felt the need to ditch the steam engines and go all internal-combustion on the genre. He has settled in Kelowna, B.C., where sometimes he can be found abusing a gigantic jazz guitar in public, hanging around certain wineries, and running obscene distances.